We love books.﻿ We have so many in our home, we could give one away every day for a year and still have some left over. I started introducing the Classics to my kids when my oldest was five. I bought the fully illustrated versions, to make them more enjoyable. But the illustrations aren't necessary. My kids love a good story. So it gets me excited when Hollywood makes movies based on books. Oh sure, the books are usually better, but when Hollywood really puts some thought into it and tries to stay true to the novel, then the end result actually motivates more people to go and buy the actual book and read it - many of whom might never have even considered doing so before. And if they read and enjoy that one, then they might even go buy (or borrow) another one. So when Warner Brothers asked me to offer a giveaway, I said yes. Because I'm a book/movie lover. The movie is probably best suited for older children (I'm talking high school, Gente), but I don't want the younger kids to feel left out. And this giveaway includes something for everyone in the family. One MommyMaestra reader will win the Grand Prize package. 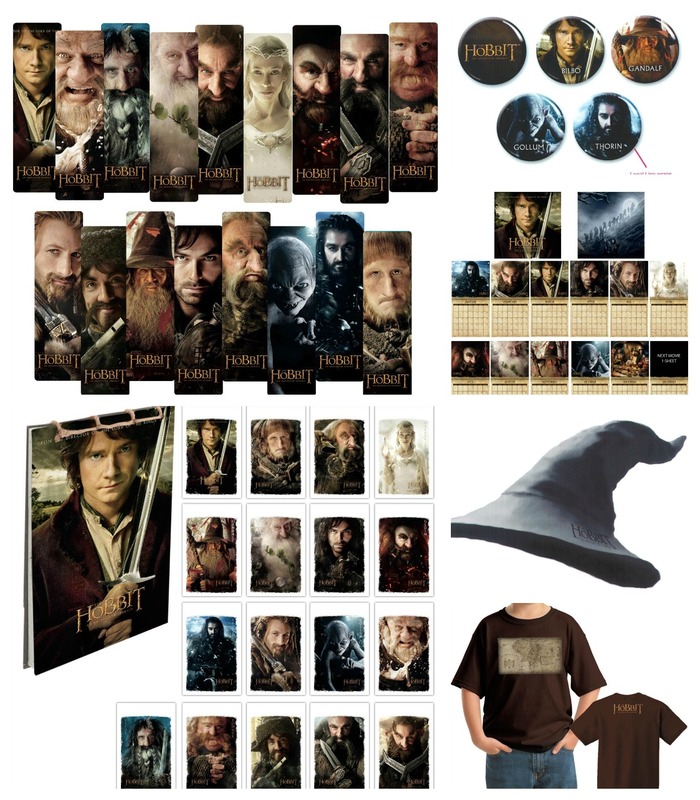 To enter this giveaway, just count and submit the number of Dwarves you see on The Hobbit: An Unexpected Journey poster shown at the top of this post! 1) Follow MommyMaestra on FB. Disclosure: This is not a sponsored post, though the giveaway and images are offered courtesy of Warner Bros. I am also a twitter follower and tweeted about awesome giveaway! There are 13 dwarves on the poster. I followed you on twitter @wlkndisaster and tweeted. I follow Mommy Maestra on FB.